Here’s a story about a real company. This company provided doughnuts for its software development team every day. 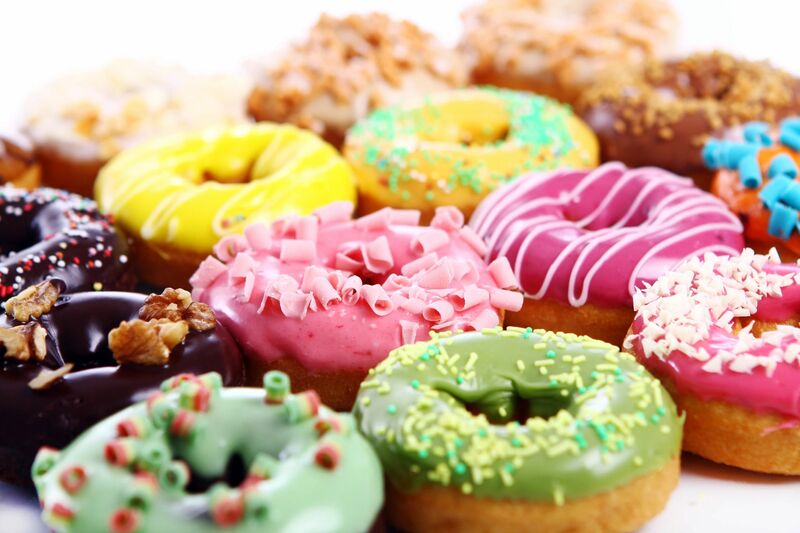 Good doughnuts – and a great assortment of them. This company also had a cafeteria so the employees never needed to be inconvenienced by having to leave the building at lunch time. And, at the end of every day, employees were given a free pot-luck dinner. Sounds like a pretty good company – want to work there? The company’s motivations in providing these perks weren’t exactly altruistic. You see, management learned that the software developers were willing to come in to work an hour or more ahead of their scheduled reporting time to get the best pick of the doughnuts. First come, first served. The assortment was also designed to create urgency as nobody wanted to get stuck with the few deliberately ‘less desirable’ doughnuts that were always included in the assortment. Regarding lunch, management believed that productivity would suffer if employees went out to eat. Having an in-house cafeteria discouraged employees from leaving the building, plus they’d spend less time on lunch breaks. The dinner announcement came between 6:30 and 7:00pm. The design was to get employees to stay beyond the end of their normal work day. And the pot-luck dinners? They were the items that weren’t eaten at lunch time and would likely be discared anyway. How do you feel about this company now? Did they value their employees? Still want to work there? As someone who’s regularly involved in the valuation of intangible assets, I’m often asked which intangible asset is the most valuable to a company. I’ve always believed that it’s the people. Sometimes it’s just hard to quantify. And as someone who has quantified the value of people for a large part of my career, I can tell you it’s usually the other intangibles, like patents or trademarks, that mathematically wind up proving to be more valuable assets. A few years ago, I was introduced to a fellow named David Jardin, founder of the Integrated Talent Management System, because we both “valued people.” David believed that all-too-often, the contributions of the workforce were not fully understood by management teams who relied on ineffective ways to measure such things. He believed that with the right talent management tools in place, employee engagement and productivity would increase and that management teams could have that “ah-ha” moment of realization that the employees can make a real difference – and in a measurable way. Our intuition was that there was likely a high correlation to a valued (i.e. appreciated) workforce having tremendous value, in dollars and cents. But how could we prove that? 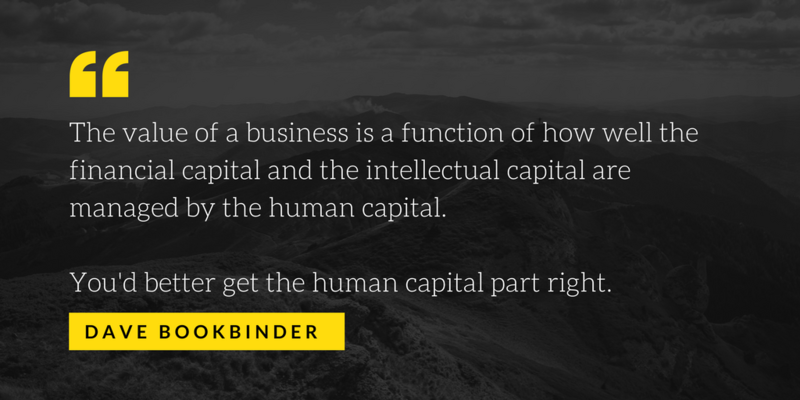 We believed that if we could marry the disciplines of valuation and talent management, we could change the way ‘people’ were evaluated, change the way leadership perceived their employees, and quantify the impact of both on the overall value of the business. The hope was to identify a mathematical equation – the ‘secret formula’ – to make such a determination. Unfortunately, David passed away before we were able to pursue this fully, however, he inspired me to continue the conversation with others in an effort to keep the dream alive. And the more people I talked to about this project, the more people who wanted to be a part of it. I never intended to build an online community and I certainly never intended to write a book. However, the message here was apparently so powerful that it blossomed into both. I’ve had the pleasure of collaborating with thought leaders from across North America – each with their own lens and experience on the subject. I have learned so much from them and I am forever grateful that they have shared their insights with me and our readers. 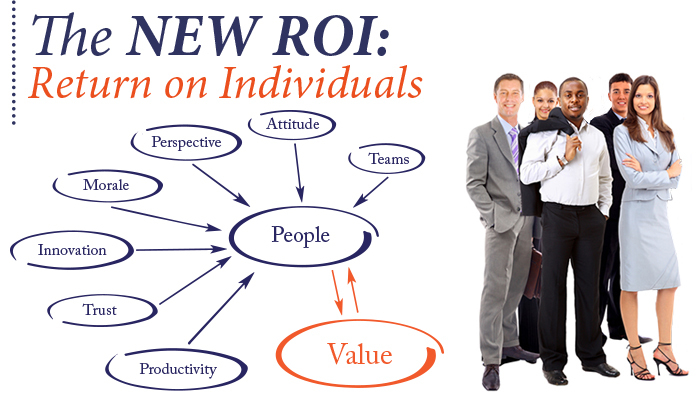 In The NEW ROI: Return on Individuals, we delve into placing a more quantifiable value on PEOPLE – the most valuable asset in every organization, and the value that people contribute to the value of an organization. Additionally, we explore universal ways to promote even greater workforce value including creating difference makers, increasing employee success, improving happiness, reducing toxic employees, generating innovation by building trust, embracing and improving corporate culture, and much more. Please join me and my collaborating partners in this journey to better understand The NEW ROI: Return on Individuals.